Shenzhen is just an hour train ride from Hong Kong. I found it a nice shopping place as things are cheaper than in Hong Kong. However, there is not much of sightseeing in Shenzhen. The only place that I visted was the Window of the world, which is a fantastic replica park situated at the Overseas Chinese Town. Here you can see the vivid replicas of the world’s wonders. It’s a nice park for photo taking but apart from that, there’s nothing much. 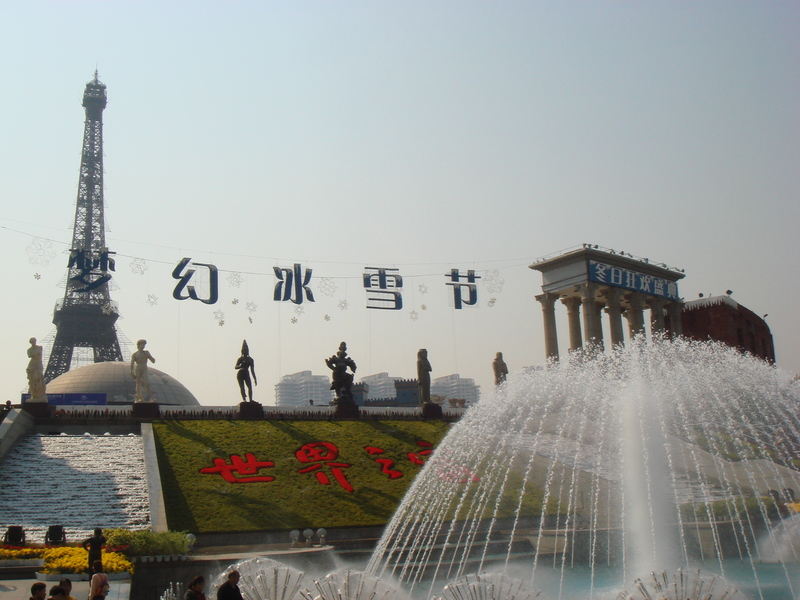 3 hours drive from Shenzhen, you would reach Guangzhou, the capital city of Guangdong Province. I love the Shang Xia Jiu Bu Jie (literally meaning up down 9 steps Shopping Street but it is a long long street) which offers great shopping (better than Shenzhen). 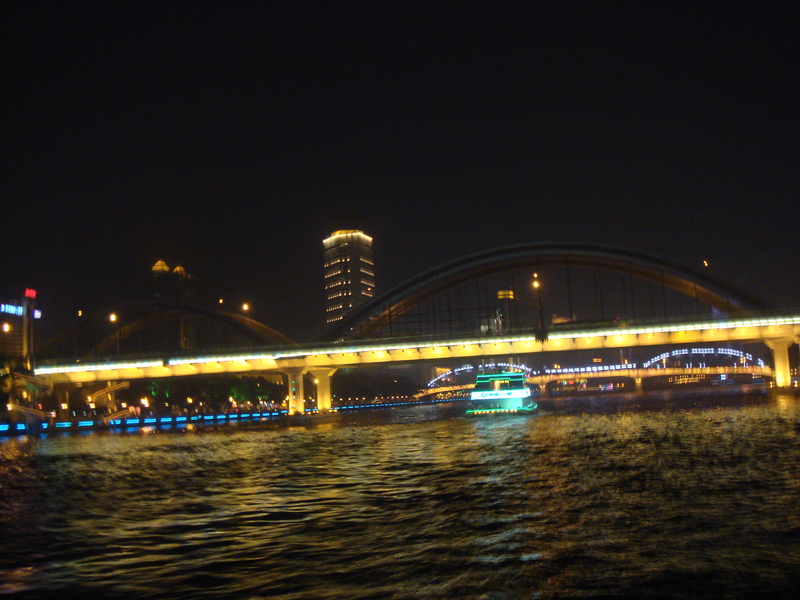 If you like, can also took this Zhujiang cruise to view the night scenery. One thing to note is that many hotels do not have heater so during winter season can be pretty cold so do bring pullover to wear to sleep. Otherwise, avoid winter. Pangyu has this Yuyinshanfang, which is famous for its unique and elegant Garden art and there’s a big Goddess of Mercy that you can see there (quite similar to the big one in Hainan Island). It’s kind of a good place to stopover for a night if you are travelling between Guangzhou and Shenzhen. Zhuhai is a nice city by the sea, famous for its Mermaid Statue (called the fish girl). In terms of sightseeing, there’s nothing much (most sights are near the Mermaid Statute). However, it is a great place to shop, I feel much better than Guangzhou and Shenzhen. Oh, one must do in Zhuhai is to eat the seafood! Really cheap and nice! If you plan to visit Macau, you can consider a day trip to Zhuhai (only need to cross the bridge and clear customs). Macau is accessible via a short walk from Zhuhai, just need to cross the bridge. Things to see are the famous St.Paul’s Church, Guia Fortress, Chapel of Shengmuxue, Senado Square, A-Ma Temple, and Macau Tower. For those who want to try their luck, there are so many casinos there, including the nice Venitian (but warn you it is pretty far from the main macau). Must try the Portuguese tart and other Portuguese food and buy the almond biscults!